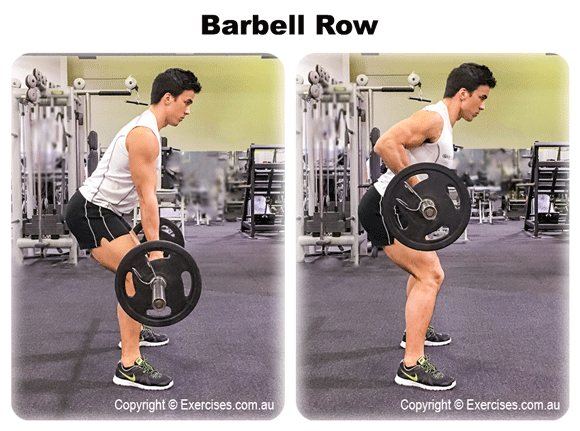 Barbell row is an excellent compound movement for the entire back, specifically targeting the lats, rhomboids, and trapezius muscles. This is a great movement to start any back workout out with and will help build a strong, thick and defined upper and middle back. Grab a barbell with pronated grip (palms facing down), shoulder width apart. Bend forward 45 degrees with the barbell hanging in front of the body. Do not perform this exercise if you have back problems. Keep the back straight with a neutral spine, ensuring your chest is up. Retract the shoulder blades and row towards the upper abdomen and exhale. Lower the weight back to starting position and then repeat. Squeeze the back muscles at the top of the movement for a brief second. 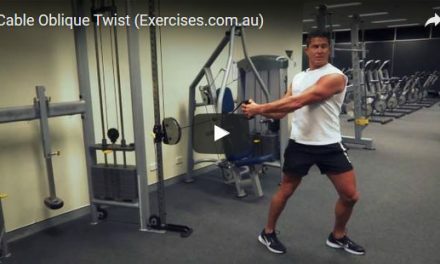 Also avoid pulling with the biceps by using a thumbless grip to improve the mind-muscle connection. Avoid rounding the back or jerking the weight up.